I use Ohsawa Organic Nama Shoyu (shoyu is the Japanese word for soy sauce; nama shoyu means it's unpasteurized) made with 100% organic unpasteurized soy beans. Ohsawa Nama Shoyu is made in the Japanese mountain village of Kamiizumi-mura, using the spring water from the mountain. 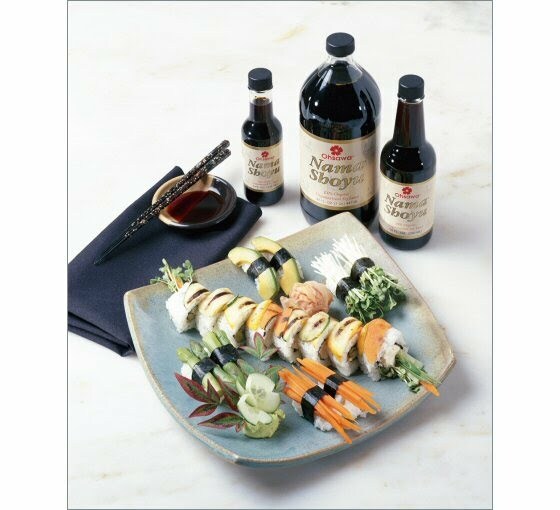 The soy sauce is hand-stirred and fermented in sixty 150-year-old cedar kegs, in a wooden post-and-beam factory surrounded by organic gardens. The flavor develops over an unusually long period of time because it is double-fermented. After fermenting the sauce in the cedar vats for at least two summers, the makers add more soybeans and wheat and age it another two summers. Instead of a heavy salt flavor, there is a more complex bouquet of aroma and flavor. Like wine, the aging makes it mellower. Also, because it is unpasteurized, it's enzyme-and lactobacillus-rich. also, Gold Mine natural food is the official supplier, if youre into that kind of thing. we found it at our local co-op.